This article appears in the new issue of Reference & User Services Quarterly, Volume 53, Number 2 / 2013. The editors graciously allowed me to publish it full text here as well. This article is based on cumulative analysis of research projects from 2009 and 2012 exploring the impact and effect of the programs on library staff in Australia, sponsored by CAVAL, a consortium of academic libraries, and in the United States. It includes analysis of survey responses from staff participants and program administrators as a means to identify exemplary practice for implementing self-directed online learning programs in library settings. Librarians creating staff training programs built on the Learning 2.0 (L2.0) model or those developing other types of self-directed online learning for groups will find an evidenced-based set of exemplary practices for such endeavors. The findings offer evidence that L2.0 programs have a positive effect on participants and their confidence and ability to use technology within their professional and personal lives. Special thanks to Warren Cheetham, Coordinator Information and Digital Library Services, City Libraries, Townsville, Queensland, Australia, for his work on the CAVAL Visiting Scholar project. Few library staff development programs have had the impact of Learning 2.0 (L2.0) or “23 Things.” Launched in 2006 at the Public Library of Charlotte Mecklenberg County (PLCMC), the program, known as L2.0, “23 Things,” boasts hundreds of adaptations since inception, constant evolution into new areas of focus, and, according to this collected research, a consistent value and effect for library staff. The multi-week, fully online, self-directed professional development program guided participants through a set of learning activities designed to introduce them to emerging technologies, such as blogging, RSS news feeds, tagging, wikis, podcasting, online applications, and video and image hosting sites. PLCMC shared the program with a Creative Commons license, prompting other libraries to adapt and utilize it. L2.0 creator Helene Blowers estimated nearly 1000 organizations have adapted the program in some form. Abram argued, “I believe that this has been one of the most transformational and viral activities to happen globally to libraries in decades.” Within a case study approach, Titangos and Mason posited that the program “has fundamentally changed the staff’s way of thinking and working in the 21st century.” And while the L2.0 model struck a chord with the library community, and it quickly became a popular professional development activity for libraries around the world, there have been few studies of its impact. This article is based on cumulative analysis of research projects from 2009 and 2012 exploring the impact and effect of the program on library staff in Australia and in the United States. The research projects in Australia were sponsored by CAVAL, a consortium that provides library services and support to libraries in Australia, New Zealand, and Asia. This article includes analysis of survey responses from staff participants and program administrators as a means to identify exemplary practice for implementing self-directed online learning programs in library settings. Librarians creating staff training programs built on the L2.0 model, or those developing other types of self-directed online learning for groups, will find an evidenced-based set of exemplary practices for such endeavors. Foundational to the L2.0 program model is an emphasis on instilling a desire for education throughout a lifetime. Most programs begin with a module devoted to becoming a “lifelong learner.” Three factors promote a need for continuing education: constant change, occupational obsolescence, and an individual’s desire for self-actualization. All of these factors are present in the L2.0 model and can help us understand its impact and longevity as a professional development program. L2.0 addresses the constantly changing landscape of emerging technologies. The replicated programs throughout the years have updated and expanded on the original “23 Things” to include Twitter and Pinterest. In addition, the L2.0 model has evolved to focus on specific subject areas and learners beyond the scope of library staff, including library users. Recent examples of specialized L2.0 models include “23 Things for Professional Development” and “Looking at 2.0,” an adapted program for citizens of Queensland, Australia hosted by the State Library of Queensland. In Nebraska, a program originally begun as “23 Things” continues as a monthly learning opportunity for library staff across the state. Currently, this investigator is working with the Guldborgsund-bibliotekerne, a public library situated in the southeastern part of Denmark, Europe, on a “Mobile 23 Things” program utilizing the L2.0 model to educate staff about tablet and smartphone apps. Another focus of L2.0 is that of taking responsibility for one’s learning. The concept of self-directed learning (SDL) from Candy emphasizes the importance of self-motivated learners managing the learning process. Candy argued that “learner control” might be a better phrase to describe the affordances of SDL. In L2.0’s many programs, participants have a high degree of control of their explorations, reflections, and the program outcomes. Interaction with other people usually motivates SDL. SDL is non-linear in nature and relies on serendipity. SDL is rarely a solitary activity; it often occurs within a social grouping. As L2.0 evolved, program creator Blowers and others actively involved in disseminating the program model (Helene Blowers and Brenda Hough) recognized the possibility for learner control or SDL in the “23 Things.” According to Hough, the program’s design enabled independence, promoted confidence via the Web and blog-based format, and raised awareness of the potential of emerging technologies. Finally, to frame the impact of the “23 Things” learning program in libraries, we might examine two theoretical approaches: a traditional theory from the literature on adult learning and an emerging school of thought that defines online technology-enabled learning. Another important component of the L2.0 model is an emphasis on play, experimentation, and social interaction with other learners as part of the program. A focus on play, innovation, and experimentation is needed for 21st century learning success, argue Thomas and Brown. Jenkins defined play as “the capacity to experiment with one’s surroundings as a form of problem-solving,” and argued that play is one of the most important emerging social literacies and valued skills for the changing landscape of education. The L2.0 model combines play and opportunities to explore new technologies into a unique, self-directed yet social learning experience. Expanding on the potential of online learning, Jenkins described the emerging concept of connected learning as having a real-world focus. In addition: “It’s social. It’s hands-on. It’s active. It’s networked. It’s personal. It’s effective. Through a new vision of learning, it holds out the possibility for productive and broad-based educational change.” L2.0 programs were created to allow staff to explore and play hands on, and then share reflections via a blog, the social component. As an oft-replicated model, L2.0 programs have been lauded as transformational for library staff. To what extent have Learning 2.0 programs enhanced library staff’s confidence and ability to utilize emerging technologies? What practices lead to program success? What practices hinder program success? To what extent does Learning 2.0 promote ongoing learning and exploration? The instruments were utilized for United States pilot studies as well. This article gathers the findings from all of the studies to discern exemplary practices for the program. Through a research partnership between CAVAL, an Australian library consortium; CityLibraries Townsville, Queensland, Australia; and Dr. Michael Stephens, the L2.0 phenomenon was explored and evaluated as part of the CAVAL Visiting Scholar program. Methodologies included a national survey for those who had participated in an Australian L2.0 program, a survey of thirty “23 Things” program administrators, and focus groups of academic and public librarians who participated in the course. In addition to the large-scale survey, CityLibraries agreed to serve as the case study site. A web-based survey of participants in L2.0 in Australian libraries yielded a total of 384 valid responses. Open-ended national survey data was analyzed using descriptive content analysis. Focus group transcripts and researcher field notes were analyzed by a method described by Krueger and Casey that follows a systematic approach focusing on frequency, specificity, emotion, and extensiveness of participants’ answers to articulate the findings. The research team published articles detailing findings from the academic library respondents, public library respondents, and the case study site. The Institutional Review Board of the Dominican University, River Forest, Illinois verified all of the Australian CAVAL study instruments in the spring of 2009. Also part of the CAVAL project, the researchers conducted a survey of L2.0 program administrators located via calls for participation and a survey of Australian L2.0 program websites. At close, the program administrator survey had a total of 41 valid respondents from Australian libraries composed of 60% from public and state libraries and 40% from college and university libraries. The open-ended questions of the administrator survey were analyzed via descriptive content analysis following similar procedures as the national study. Preliminary analysis was reported in a paper at the International Federation of Library Associations in 2012 in Helsinki. This article reports on the final analysis of that data. As the Australian project concluded, the primary investigator sought to investigate L2.0 in the United States. As a preliminary step, a pilot study was proposed and funded by a grant from San Jose State University, San Jose, California. Three public libraries in the Chicago metropolitan area partnered with the primary investigator. All three libraries offered a staff L2.0 program within the last five years. The libraries included Mount Prospect Public Library, a mid-size public library where more than 100 staff members participated in the program in 2008; Schaumburg Township District Library, the second largest public library in Illinois, where 146 staff participated in the program in 2007-2008; and Skokie Public Library, a suburban library where 154 employees participated in the program in 2007. The survey instrument was based on the question sets used in the Australian study. All staff members at each site study library were invited to participate in the web-based survey, and 71 responded. This article reports on the final analysis of that data and includes analysis of three focus groups conducted for the pilot study. The Institutional Review Board of San Jose State University verified all of the survey and focus group instruments in the spring of 2012. The similarity of insights and conclusions from the pilot study to the large scale Australian study led the investigator to re-align the research agenda for L2.0 programs. These ideas are articulated in the concluding Future Research section. Results of the administrator survey reveal a snapshot of practice for L2.0 amongst 41 libraries and library systems across Australia. The survey explored program mechanics and perceptions of program impact and success. These included program design, time frame of the program, incentives, participation by administrators, mechanisms for communication, and impact of the program on library staff. Thirty respondents shared the time frame of their program, ranging from five weeks for a pilot program to 32 weeks. The most frequent choices were 12- or 24-week durations. One respondent noted, however, that the 24-week duration was extended from an original plan of 12 weeks. Leaders reported that 65% of the L2.0 programs offered some type of incentive to complete the program. Most offered some type of small technology focused reward, such as USB drives. Other incentives included candy, chocolate, certificates of completion, a celebratory tea, gift cards, vouchers, iPods, an iPhone, and laptops. Some noted that incentives were awarded throughout the program, while the majority reported some type of incentive was given to all or to a random drawing of participants at the end of the program. Two respondents used the program as a means to award professional development credits on staff work plans. Respondents relied on blogs and email notices to communicate with participants. Others used online tools such as Google Groups or Ning. A majority of the 29 respondents noted success with face-to-face interaction: verbal communication, offering hands on workshops for those who needed them, and the encouragement of program “Champions.” Program “Champions” were utilized in the Townsville CityLibraries program that made up the case study portion of the Australian research. Staff are more aware and confident with emerging technologies (62%). We are adopting various emerging technologies (45%). It’s too soon to tell OR need a more practical application of the tools to actually see impact (24%). We are investigating how to best use emerging technologies (20%). The program administrators took a more conservative view of program impact and success than those who participated in the national survey. Survey respondents made up of mostly academic and public library staff reported a higher degree of confidence and comfort with exploration of emerging technologies. 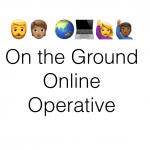 Q4: “As a result of our Learning 2.0 program, I am continuing to explore emerging technologies online?” The majority of respondents responded via the Likert Scale in the affirmative (71%), while 18% neither agreed nor disagreed, and the remainder (11%) reported they were not continuing exploration. Staff were able to experience and learn new tools (71%). Learning 2.0 was effectively implemented and administered by program leaders (27%). Everyone was included in participating in the learning program (23%). Staff feel more confident about emerging technologies and future uses of the tools (13%). I am continuing to explore emerging technologies online (71%). I am more comfortable learning about emerging technologies (91%). I am more confident about emerging technologies (82%). Opportunities to continue learning and communication are ongoing (83%). I feel I am part of a learning organization (86%). I can continue learning on my own with the tools I discovered (87%). Library staff is more aware of emerging tools, and feels competent and confident exploring them (87%). Library staff now use the tools discovered to enhance work (30%). Inconclusive or no perceived impact (18%). Across the studies, perceptions of improved comfort, competence, and confidence are associated with staff use and knowledge of emerging technologies. Include ALL staff in the learning opportunities, not just librarians or managers. From the beginning, a foundational aspect of L2.0 was to include all staff at all levels in the learning. One of the thematic statements of staff perception culled from the academic library data set was: “The program showed me we were all equally valued for staff development.” This sentiment is found across the data sets. In the public library focused article, a respondent reported: “The fact that it was a team effort and we all learnt together regardless of status, age etc. being exposed to new things was wonderful.” An Australian program administrator noted: “All staff were encouraged by the opportunity to use these new tools, especially during work time.” From the United States pilot study: “It was a very positive experience to have everyone on the staff learning something at the same time. It built staff connections that weren’t there before.” Those chosen to implement a L2.0 program or provide access to this type of training for staff should make every effort to include everyone. Allow staff time to work on the program and make it a firm commitment. Program scheduling can detract from success — avoid too many conflicts during the program running time. A factor that impeded program success for some in the administrator survey was that of scheduling conflicts. This was also an issue for the CityLibraries case study. A competing conference at the same time as the program and staff enrollment in online certification programs detracted from time available for the program for both staff and administrators. Words of caution for scheduling the program were included in the open-ended section of the administrator survey: “We ran the first 3 modules in November/December, then had a break for Xmas. We ran modules 4-12 from February to April. I would definitely NOT recommend having a break in the middle like this. We lost a lot of momentum and consequently had to work much harder to maintain the level of interest in the program.” Program administrators might consider holidays, busy times for the library, or other scheduling factors when choosing a time frame for the program. Break down any barriers on the tools put in place by IT departments, making sure access is possible from employee computers. This issue was not present in the United States pilot study, but issues of access and governance should be explored before program launch to insure that barriers do not prevent participation. Focus the program on tools that are used by the library or will be utilized. Tie the program to practical implementation. Keep an eye on the future. Across the data sets used for this discussion of exemplary practice, negative responses about the program centered on lack of time (as noted above) and a lack of practical focus for the tools explored. A respondent in the CityLibraries case study stated: “Most people who participated in it failed to understand how they could utilize some new technologies in their day to day work.” An Australian program administrator reported the L2.0 initiative was done to get staff excited about new services with the tools: “We’ve since started using several Web 2.0 tools, del.icio.us and blogs for instance, to manage library services. Several of the staff who completed Learning 2.0 now contribute to these services.” Others noted that sharing examples of successful library use of the tools in learning modules and assigning reflections on how the learner’s library might do the same were useful practices. Program “Champions” – staff selected to provide support throughout the program in each department – are beneficial to learners. Program developers and library administrators should understand the program yields better awareness of new technologies and enhanced feelings of inclusivity for those who participate. As the programs evolve to include newer technologies, some of the original “23 Things” have been phased out or become part of the foundational format of the course. 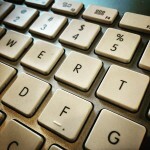 Blogging, for example, no longer a new or emerging technology, still affords a connected, social platform for learners. Not only are participants experiencing new tools (at this writing Pinterest and Dropbox might fall in this category), but they are also up-skilling with the tried and true (WordPress, etc.). Program developers and library administrators should understand the program yields improved comfort and confidence with new technologies for staff that participate. When asked to gauge impact on their library, Australian survey respondents and focus group participants shared similar responses: organizational change is not as prevalent, but staff feel more comfortable and “in the know.” Words such as comfort, confidence, and competence were used often across all of the data sets. As noted in the public library focused article, incompletion of the program did not mean staff did not learn or take things away. These benefits align with the transformative learning concepts featured above: learners experience new concepts, tools, or ideas, explore them, and adjust their thinking going forward. Program developers and library administrators should promote the concept of play and exploration as part of the learning. Commit to an ongoing communication and learning strategy for staff after the program concludes. From the focus groups in Australia and the United States, some library staff noted the program seemed less effective after it concluded, and things “went back to the way they were before.” Another respondent noted that the transparent environment and communication flow “dried up” after her program ended. Exemplary practice then for L2.0 must include a recommendation for continuing the learning opportunities and practices of inclusiveness and play. As noted above, the librarians in Nebraska have demonstrated success with an ongoing version of the program on the statewide level. Programs could continue by adopting newer modules from this and other similar L2.0 endeavors. This investigator has taught a class focused on L2.0, and each semester student groups adapt and create new modules and programs. An archive of that student work with Creative Commons licensing is available at http://thehyperlinkedlibrary.org/learning20/ for use by any and all who are offering L2.0 programs. After analyzing the United States pilot study data, the investigator realized the answers across the surveys and focus groups from Australia were growing more similar. The L2.0 model appears to be sound as evidenced by this research, as are the proliferation and evolution of the various programs based on it. The next step is exploring how the model has been used for library patrons. Recognizing the L2.0 program’s success in helping library personnel learn to explore and use technology, four libraries have adapted the program and offered it to their patrons in an effort to foster digital literacy skills. In 2008, Darien Public Library, Darien, Connecticut, developed an L2.0 program for parents aimed at helping parents explore technology with their children. (The program website can be found at: http://www.darienlibrary.org/category/darien-library/special-initiatives/21-things-parents?page=2.) 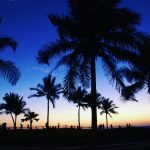 The State Library of Queensland, Australia, offers an L2.0 program for their patrons entitled “Looking at 2.0,” with learning modules on topics such as mobile applications, creating a personal website, and organizing a personal digital library. (Their website can be found at: http://www.slq.qld.gov.au/services/learning/looking.) Arlington Heights Memorial Library, Arlington Heights, Illinois, offered a 13-month L2.0 program for their patrons from 2008 to 2009, covering a different technology each month, as did Pima County Public Library, Pima County, Arizona. (The Arlington Heights program website can be found at: http://community.ahml.info/bakersdozen/?page_id=2.) No formal assessment of any of these three programs has been conducted. Future research plans include exploratory interviews with key administrators of the programs listed above. This might lead to a demonstration project focusing on updating, piloting, and evaluating L2.0 programs for library users in various settings, with a range of target audiences. Recent research and the studies detailed here are evidence that the L2.0 program, featuring self-directed learning through play and experimentation, has the potential to be transformational for those who participate. These findings offer evidence that L2.0 programs can have a positive effect on participants and their confidence and ability to use technology within their professional and personal lives. In addition, recent discourse surrounding the L2.0 program’s building blocks – play, exploration, and experimentation – continues to assert that they are foundational to successful learning in the 21st century, where the world is changing faster than ever, and skill sets have a much shorter lifespan. The exemplary practice detailed here is meant for librarians utilizing the L2.0 model to insure program success. Helene Blowers, “10 Tips about 23 Things,” School Library Journal 54, no. 10 (2008): 53-57. Hui-Lan Titangos and Gail Mason, “Learning Library 2.0: 23 Things @scpl,” Library Management 30 ½, (2009): 44–56. Roger Hiemstra, Lifelong Learning: The Professional education series (Lincoln, NB: Professional Educators Publications, 1976). Robin Hastings, “Journey to Library 2.0.” Library Journal 132, no. 7 (2007): 36-37. Julia Gross and Lyn Leslie, “Twenty-three Steps to Learning Web 2.0 in an Academic Library,” The Electronic Library 26, no. 6 (2008): 790-802. Phillip C. Candy, Linking Thinking: Self-Directed Learning in the Digital Age (Canberra: Dept. of Education, Science and Training, 2004). Sharan B. Merriam, “Andragogy and Self-Directed Learning: Pillars of Adult Learning Theory,” New Directions for Adult and Continuing Education 89 (2001): 3. Philip C. Candy, Self-Direction for Lifelong Learning: A Comprehensive Guide to Theory and Practice (San Francisco, CA: Jossey-Bass, 1991). Brenda Hough, “Teaching People to Be Savvy Travelers in a Technological World,” Computers in Libraries 26, no. 5 (2006): 8. Jack Mezirow, “Transformative Learning: Theory to Practice,” New Directions for Adult and Continuing Education, no. 74 (Summer 1997): 5-12. Patricia Cranton, Understanding and Promoting Transformative Learning (San Francisco, Ca: Jossey-Bass, 2006). Douglas Thomas and John Seely Brown, A New Culture of Learning: Cultivating the Imagination for a World of Constant Change (Lexington, KY: CreateSpace, 2011). Richard Krueger and Mary Anne Casey, Focus Groups: A Practical Guide to Applied Research (Thousand Oaks, CA: Sage, 2009). Michael Stephens and Warren Cheetham, “The Impact and Effect of Learning 2.0 Programs in Australian Academic Libraries,” New Review of Academic Librarianship 17, no. 1 (2011): 31-63; Michael Stephens and Warren Cheetham, “Benefits and Results of Learning 2.0: A Case Study of CityLibrariesLearning – discover*play*connect,” Australian Library Journal 61, no. 1 (2012): 6-15; Michael Stephens and Warren Cheetham, “The Impact and Effect of Learning 2.0 Programs in Australian Public Libraries,” Evidence Based Library and Information Practice 7, no. 1 (2012): 53-64. Michael Stephens and Warren Cheetham, “The Impact and Effect of Learning 2.0 Programs in Australian Public Libraries,” Evidence Based Library and Information Practice 7, no. 1 (2012): 53-64. 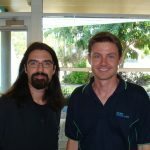 Michael Stephens and Warren Cheetham, “Benefits and Results of Learning 2.0: A Case Study of CityLibrariesLearning – discover*play*connect,” Australian Library Journal 61, no. 1 (2012): 6-15. Michael Stephens and Warren Cheetham, “The Impact and Effect of Learning 2.0 Programs in Australian Academic Libraries,” New Review of Academic Librarianship 17, no. 1 (2011): 31-63. New Media Consortium, Horizon Report: K-12 Edition, assessed June 5, 2013, www.nmc.org/horizon-project/horizon-reports/horizon-report-k-12-edition. • Did you offer incentives? • What blogging software did staff use? • Did all participants blog their progress? • Were staff allowed to blog anonymously? • Were staff encouraged to work together? • Q2: Did managers and administrators participate? • How did you communicate with staff during the program? • What tools did you add to your specific program? Why? • What tools did you drop from your program? Why? • What was the timeframe for your program? • Were staff given work time to complete the program? • Did you allow extra time at the end for catching up? • Were staff encourage to play? If so, how? • Did your program also include library users or library trustees? • If so, describe it. • Q1: What worked well? • What didn’t work well? • What year did your program begin? • What year did it end? • My supervisor supported the program. • My supervisor participated in the program. • I am more comfortable learning about emerging technologies. • I am more confident about emerging technologies. • I like to explore technology on my own. • I am prepared to help our library users with emerging technologies. • I am encouraged to try new things at my job. • I like to play and experiment with new things. • Opportunities to continue learning and communication are ongoing. • I feel I am part of a learning organization. • I can continue learning on my own with the tools I discovered. • I have created my own learning network through the tools I discovered. • Why or why not? (Open-ended). • What did not work well? • Please tell us your first name, your position and how long you’ve been at the library. 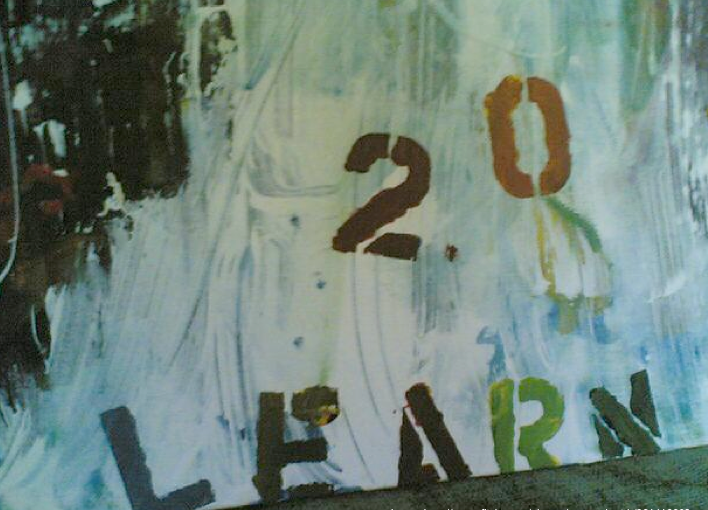 • Think back to when you first heard about Learning 2.0. What were your first impressions? • Did you complete the program? • If yes, what contributed to your success? • What tools were your favorites? • What tools are you still using in your job? Are you continuing to explore emerging technologies online? • What worked well during your Learning 2.0 program? • What did not work so well? • Did your Learning 2.0 program achieve its proposed aim of developing staff understanding of emerging technologies? How? • What has been the lasting impact on your library after Learning 2.0? • Has the learning continued? If yes, how so? If no, why not? • What personal changes have you noticed as a result of the program? • What changes at your library have you noticed since the program?